Why can’t marijuana dispensaries accept credit cards? This article explains the various obstacles facing marijuana merchants who want to accept credit cards. For ideas on how to get around those obstacles, see this article that lists five ways to accept credit cards at your dispensary. Marijuana is a growing industry. In a trend mirrored by public opinion, the marijuana legalization movement has gained significant legislative momentum over the past two years. Since California first legalized medical marijuana use in 1996, twenty-two other states have voted to allow the sale and taxation of medical cannabis. Four of those states—Colorado, Washington, Alaska, and Oregon—have flat-out legalized the use of recreational marijuana without the need for a doctor’s note. Colorado, the first of these states to establish a fully legal recreational marijuana industry, saw $295 million in marijuana sales in 2014 and netted around $60 million in new tax revenues. In the current regulatory climate, however, hard currency is still the sole method of exchange for most pot shops. And while having too much cash lying around may seem like a good problem to have, it’s actually a major headache for marijuana dispensaries. Specifically, the marijuana industry’s reliance on cash increases risk for both customers and marijuana merchants. Customers must travel to the merchant’s location while carrying large amounts of cash, which makes them obvious targets for theft. Shop owners are a similarly easy mark, which has forced many dispensaries to invest in bank-grade safes, security systems, and other anti-theft measures. This reliance on cash for all of a business’s payments—those made to suppliers, employees, and the state—only increases costs for shop owners and reinforces the perception that they aren’t operating legitimate businesses. Despite these deficiencies, the payment processing industry has thus far been slow to provide a reliable electronic solution. This raises the question: why is it that weed can be sold, taxed, and regulated in nearly half of the states in the U.S., but it can’t be purchased with a credit card? The largest and most significant obstacle to marijuana payment processing is the federal government’s stance on the sale and use of marijuana. Although marijuana remains a Schedule I substance at the federal level (meaning it is illegal to manufacture, distribute, dispense, or possess), the Obama administration has clearly signaled its intention to allow individual states to make their own determinations about marijuana sales. To affirm this stance, the U.S. Department of the Treasury’s Financial Crimes Enforcement Network (FinCEN) issued a statement in February 2014 outlining best practices for banks to extend merchant services to marijuana sellers, and Congress’s most recent spending proposal explicitly forbids federal agents from raiding state-approved medical marijuana dispensaries. Surprisingly, two of the major card networks have followed the government’s lead in relaxing their policies. In a statement to the Wall Street Journal in early 2014, Visa said that although it will continue to ensure that its network is used in accordance with federal law, “given the federal government’s position and recognizing this is an evolving legal matter with different standards applicable in different states, our local merchant acquirers are best suited to make any determination about potential illegality.” MasterCard more or less followed suit. The generally accepted upshot is that both networks will allow acquiring banks to make their own decisions regarding the legality of marijuana merchants. Other barriers at the top still remain. The government has given no indication that it will reschedule cannabis, meaning that it could remain illegal on a national scale for the time being. And unlike Visa and MasterCard, American Express remains rigidly opposed to the use of its network for marijuana merchant accounts, citing a strict adherence to federal legislation as it is currently written. 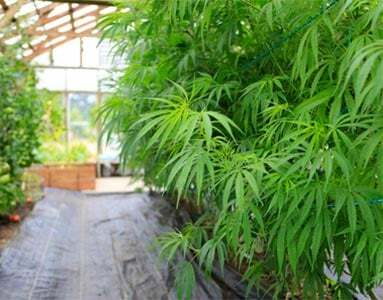 But the fact remains that many of the traditional gatekeepers have at least expressed a willingness to experiment with legal marijuana, and the issue appears to be in the hands of private enterprise at this point. So what’s the holdup? Despite the increasingly lax attitude toward pot from both the government and the major card networks, the banking industry continues to drag its feet on providing digital payment solutions for the marijuana industry. The reason for this is simple: processing banks assume the risk for illegal transactions conducted via their networks. Put simply, banks are not willing to expose themselves to the financial and legal consequences. From a financial perspective, the banks have always been cautious about processing payments in traditionally volatile industries. The reason for this has to do with the basic nature of credit. When a customer pays with a debit or credit card, the payment isn’t directly transferred from the customer’s checking account to the merchant’s checking account. Instead, the actual money paid to the merchant is fronted to the merchant by the merchant’s acquiring bank, which must then collect the amount from the customer’s issuing bank, which must then collect the money from the customer’s account. This process is far from instantaneous; it usually takes one or two days from the moment the card is swiped for the actual money to be officially transferred. This transactional delay is a major part of what makes credit cards a no-go for marijuana dispensaries. In the period of time between a customer’s swipe and the settlement of a transaction, any number of events can disrupt the payment. And while this is true of any industry, it is especially pronounced for a newly legalized product facing strong black market competition. For instance, the customer can request a chargeback, effectively reversing the payment and forcing Visa to determine the validity of a little-understood type of drug transaction. In another scenario, the dispensary could be raided by the federal government (although that is looking less likely nowadays), resulting in the seizure of product. In a more common example, state and local law enforcement could shut down dispensaries for operating beyond the limited scope of state law. In all of these instances, the banks will suffer unnecessary losses and inconvenience, with no merchants to recover the money from and no physical assets they can legally seize. These financial risks pale in comparison to the legal risks that banks face. There have historically been legal consequences for banks and ISOs that knowingly process illegal transactions. From nutraceuticals to offshore gambling to adult products, most super-high risk industries today require strict screening protocols and overseas banking partners in order to receive processing services. Until the banks get on board, it doesn’t look like conventional payment processing will be available for marijuana dispensaries. So what is a business owner to do? Bending the rules can cost you. Despite the banks’ hesitance to provide marijuana merchant services to legitimate dispensary owners, some merchants have plowed ahead with workarounds and semi-legal solutions. Each of these options comes with some degree of risk, and a clear path to reliable processing has yet to emerge. The first and most obvious solution you might consider is to misrepresent your business type and products to a bank or a payment processor. This method is inadvisable for merchants in any industry. Even if your merchant account sales representative insists that things will be fine, there’s really no reason to trust that the acquiring bank is on board. By listing your products as aromatherapy, oil extracts, tobacco products, or other similar categories, you risk being caught and placed on the Terminated Merchant (MATCH) File, an industry-wide blacklist. Another creative option is available in the form of point-of-banking terminals, also known as “cashless ATMs.” These terminals essentially function as PIN-debit transactions by allowing merchants to give customers change for on-site ATM withdrawals. It’s similar to getting cash back at the grocery store, except in this case the merchant receives a cashless deposit from the customer’s bank account for a set amount ($5, $10, $20) and then gives the customer appropriate change for the transaction. Another solution that has been proposed is the use of a digital currency like Bitcoin. Since it isn’t regulated by processing networks and essentially functions as digital cash, virtual currency could easily be exchanged for any good or service, including marijuana. However, most of the major bitcoin point-of-sale providers (including BitPay and CoinBase) have balked at the idea of processing payments for a product that is illegal at the federal level. This leaves merchants without a convenient on-site means of collecting bitcoin, which likely won’t inspire many customers to switch from cash to digital currency. One source of hope for cannabis merchants is the establishment of institutions like the Fourth Corner Credit Union. Based in Denver, Colorado, the Fourth Corner Credit Union was established specifically to provide financial services to marijuana dispensaries. It is not yet operational—it still needs to obtain insurance and open a location—but, provided other banks honor its currency, it could represent a legitimate path to payment processing for marijuana sellers. For now, there aren’t many viable solutions. All of the existing solutions above involve some degree of risk or inconvenience, and any future alternatives that function outside of the traditional card networks will be inherently volatile. As difficult as it may be, legal weed suppliers are currently best served by operating within the full limits of the law and heeding any warnings issued by their banks. This may mean cash-only for the foreseeable future unless a reliable point-of-banking solution is available. Marijuana advocates have worked for decades to bring cannabis into the mainstream. Given the current state of affairs, it seems legal marijuana businesses will have to wait just a little longer. How does this apply to hemp products? Any CBD that is derived from plant sources that are covered by the 2014 Farm Bill are exempt and treated as other hemp products. I have had extensive conversations with the California Cannabis Bureau and their Manufacturing Branch as well as the CA Dept of Consumer Protection, both of which acknowledge this position. CBD falls outside of the cannabis regulations. With this said, AMEX should see CBD the same as hemp clothing or paper. There is a company offering a payment system in LA using some kind of QR code system. LA voucher cloud I think its called. Some merchants are using it. We use iFund420.com, be prepared to sign an NDA. The root (pun intended) of this issue is federal legislation. While completely contradictory to place marijuana on Schedule I of the CSA with LSD and Heroin, it still remains the law. The Obama administration has seemingly supported deregulation and currently, 40 of 50 states have some form of medical marijuana legislation enacted. Two proposals are in Congress as of this writing, H-2076 and S-1076. The FDIC and the Fed Reserve absolutely hold the most power over the acquiring banks… once federal legislation is passed preventing the FDIC and Fed from abandoning a bank solely for supporting marijuana businesses in jurisdictions where pot is legal in the manner the transaction is made, we will see a surge in cannabis credit card transactions. What is the name of the dispensary that allowed you to use your credit card? Thank you. I live in California and I am not a merchant, but I can share my experience with a merchant who accepted an electronic payment. I was actually surprised. It was my first time at this dispensary, so I asked if they had an ATM. They said no, but I could use my card at time of payment. So I used the Visa option with my bank card. I noticed they taxed each item I bought. Usually payments are referred to as “donations” with a set price. My assumption was that any tax was included because at other dispensaries I had never been charged a tax over the set “donation” amount. But that wasn’t the case here. They said they had taxes to pay, so we are charged taxes. I actually had to sign a receipt, which in my copy included a print out of each item name, cost, and tax. I found it bizarre to receive a receipt with all the cannibas items named as a purchase, not a “donation”. Immediately I felt the government eyes were on me! Ha! I’m older, so I remember the days where marijana was considered a hard illegal drug. Paranoia is still felt, even though I have done everything to legally obtain my medical cannibas under my city, county, and state laws. I think consumers will always feel more comfortable paying cash. The whole process above, using my bank Visa card, although more convenient, felt uncomfortable. I know personally, I will always be more prepared with cash in the future. Thanks for letting me share. What dispensary was that? Did it mention on the check who processed the payment?